It is not the cholesterol in foods that makes your bad cholesterol levels go up, it’s something more inconspicuous. Eggs have a notorious reputation for having high amounts of cholesterol which according to popular opinion adversely affects cholesterol levels. But this is a misunderstanding. Generally speaking, our cholesterol levels are not produced from the cholesterol that is available in foods, meaning that our cholesterol levels depend on the cholesterol that our bodies produce. In other words, cholesterol containing foods are not the cause of high cholesterol, it is foods that cause our bodies to produce cholesterol. According to nutritional studies, the most powerful cholesterol-producer in our bodies is sugar. This not only includes added sugar, but it also includes refined grains like white bread, white rice and white pasta. When we consume sugar, our bodies release insulin in order to regulate our blood sugar levels. However, when our bodies release insulin, our bodies also begin to store LDL cholesterol which is known as the “bad cholesterol”. 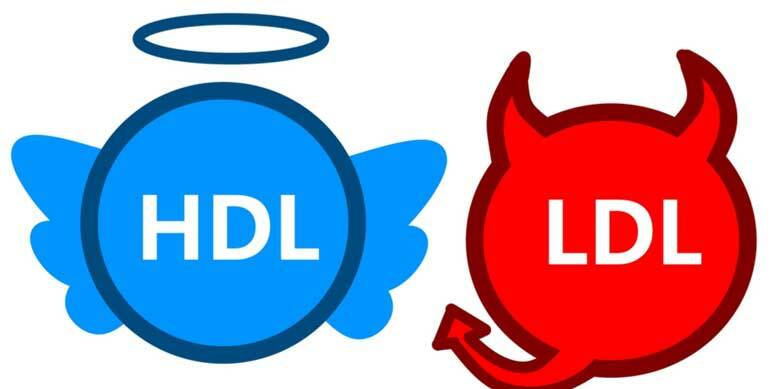 Incidentally, HDL or the “good cholesterol” goes down. The obvious good news is that not all sugar is bad for you. Sugar that is naturally found in foods like fruits do not bring about cholesterol as they are absorbed slowly (thanks to its fiber) thereby keeping insulin release in the body at low levels. What’s the take-away here? Reduce the amount of added sugar you consume. Replace your refined grains with whole grains which will help you keep your cholesterol levels in check.